It was Danielle and Gracie's secret. A teenage adventure. A 1,000 mile drive along the spine of the Rocky Mountains to visit Danielle's boyfriend in Montana. Their parents were never to know. But now the girls have simply vanished. The only person who knows they're missing is Danielle's boyfriend. He persuades his father - a disgraced, suspended cop - to search for them. But he too simply disappears. Now it's up to rookie cop, war widow and single mother Cassie Dewell to find them. 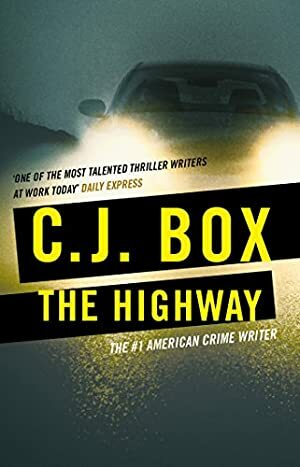 Her investigation will introduce her to FBI's Highway Serial Killer Task Force, compel her to confront a spate of roadside sexual mutilations and murders, and lure her towards a darkness greater than anything she could ever have imagined. Log In to track C.J. Box on eReaderIQ. to be notified each time the price drops on any book by C.J. Box. to stop tracking C.J. Box. We started tracking this book on May 11, 2013. This book was £6.86 when we started tracking it. The price of this book has changed 78 times in the past 2,175 days. The current price of this book is £0.99 last checked 6 hours ago. The lowest price to date was £0.95 last reached on March 30, 2016. This book has been £0.95 one time since we started tracking it. The highest price to date was £6.86 last reached on July 20, 2013. This book has been £6.86 3 times since we started tracking it. We last verified the price of this book about 6 hours ago. At that time, the price was £0.99. This price is subject to change. The price displayed on the Amazon.co.uk website at the time of purchase is the price you will pay for this book. Please confirm the price before making any purchases.